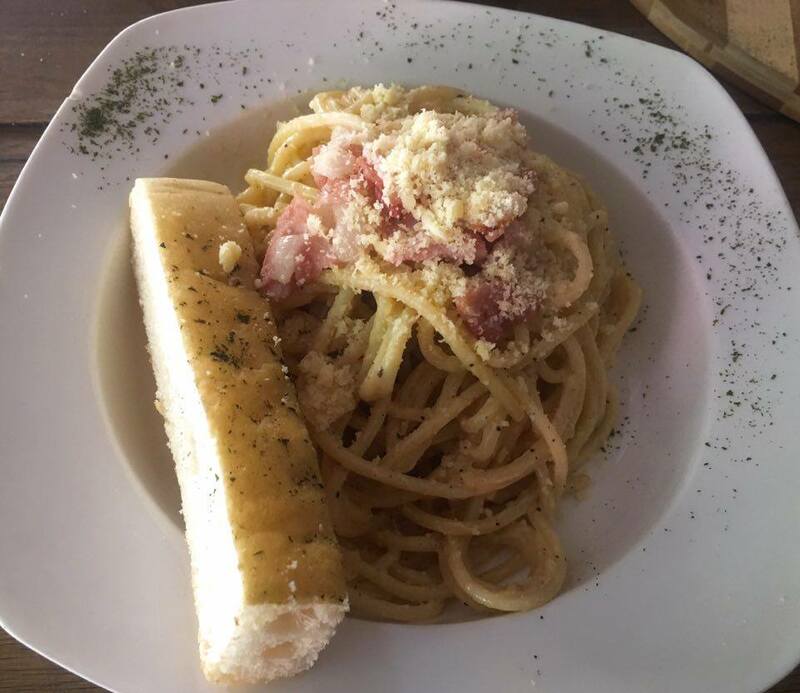 My sister's friend introduce me to a pasta and pizza restaurant in Kapitolyo, Pasig City. I am not familiar to the restaurant since I haven't explored the streets of Kapitolyo but what made me want to check the place is the recommendation that she gave. 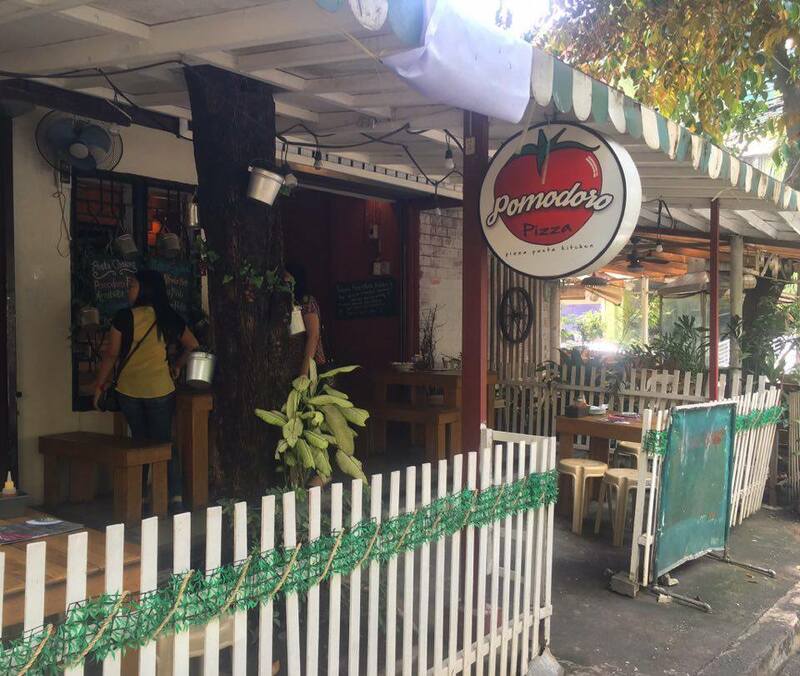 We went inside the streets of Kapitolyo and find a restaurant named Pomodoro Pizza Pasta Kitchen. The ambiance is cozy. It's as if you are dining in your wooden chair and table in your veranda with white fences. We ordered quattro formaggi pizza, smoked fish pasta, sausage pasta, salted egg pasta, arrabiata and house blend ice tea. Quattro Formaggi Pizza or Four Cheese Pizza is composed of Mozzarella, Parmesan, Colby Jack and Pomodoro's Special Cheese. We got this for PHP 239 or USD 5. The pizza smells Parmesan and has thin, crunchy crust. It is cheesy and has the sour taste of tomato. Smoked Fish Pasta has the salty taste of "tinapa" or smoked fish and perfectly blend with creamy sauce. 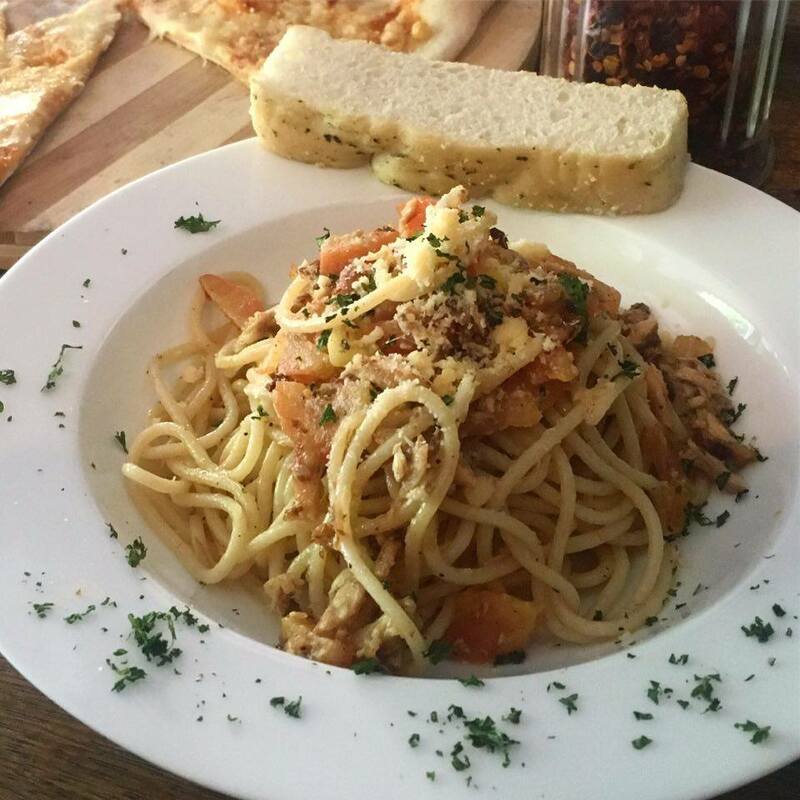 Smoked Fish Pasta is only for PHP 99 or USD 2.07. Sausage Pasta has tender pasta with sweet and salty taste of sausage and has bits and pieces of sausage. 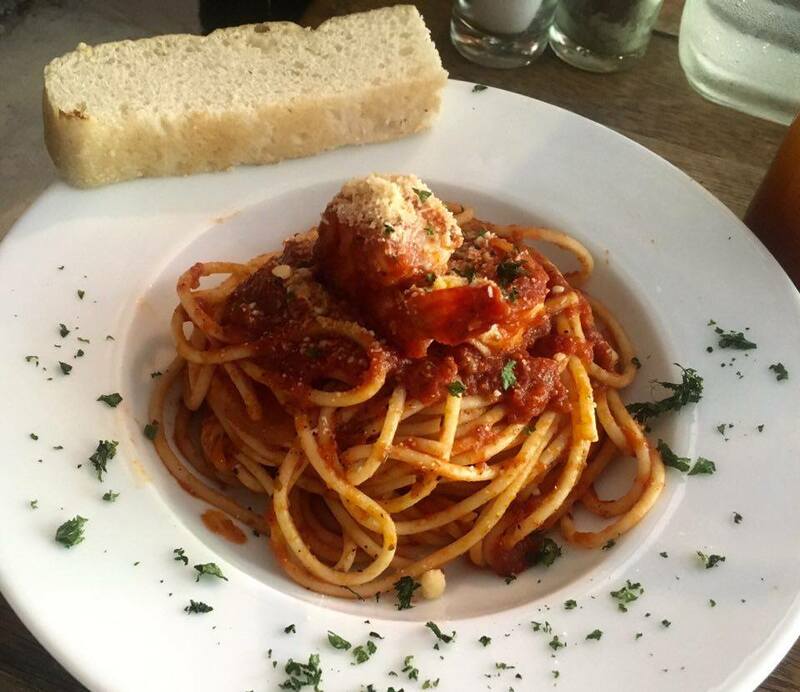 This pasta is for PHP 139 or USD 2.91. Salted Egg Pasta is creamy with the texture and taste of salted egg yolk and saltiness coming from the egg white. This is for PHP 139 or USD 2.91. Arrabiata has the sour taste of tomato , juicy shrimp and a bit spicy. 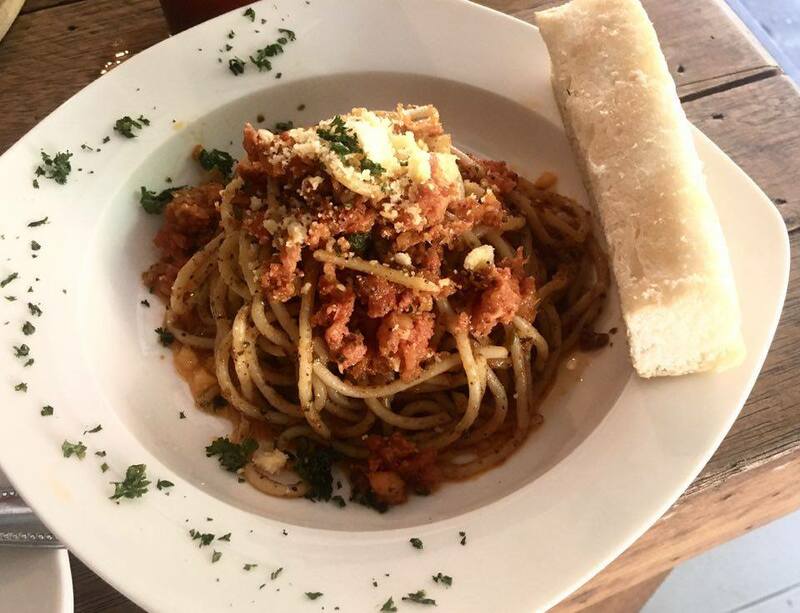 Arrabiata pasta costs PHP 139 or USD 2.91. I enjoyed every pasta that we ordered in Pomodoro specially the Salted Egg and Smoked Fish. They have a this unique Filipino taste that usual restaurants do not offer. Really interesting to see Italian classics given a local twist and also great value for money - it looks delicious. It all looks amazing. Also thats a great price. Those look so good. I want to travel for FOOD and the sights. But mostly for the food haha. I love pizza! This place looks so welcoming and the food looks great. Wow, all of those dishes look amazing. I would love to visit there are try all of them! It looks delish! You can't beat good Italian food! That food looks amazing. My mouth watered at the sight of the pizza!!! I love mom and pop places, food looks amazing. Not one of those plates looks anything but delicious. Everything look so delicious there! I want to try it someday. Wow! They all look mouth watering. Also the price is good too! Ah I'm so in the mood for pasta. Ironically we had pizza instead, for dinner tonight, lol Everything looks great here! That pasta looks absolutely delicious, though I am not big on pizza I would so eat that. Everything looks soooo good at this place! 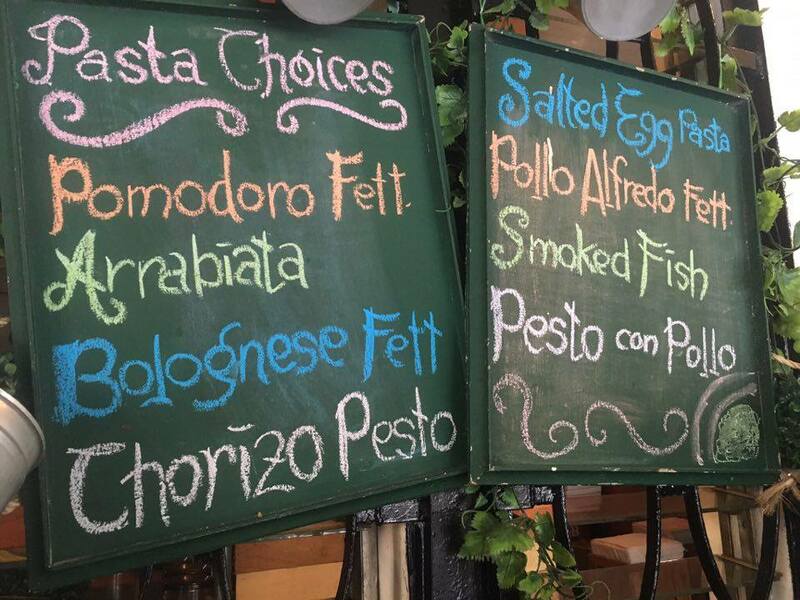 I love smoked fish with anything, so that pasta would be my pick! Wow, I want to go to that place. I like that pasta, looks really yummy! That salted egg pasta got my interest! I would like to go there! This is near on my sister's place. I will tell her about this. Oh, that pizza looks tempting. I like the pricing, so cheap but look very delicious! Not bad! The prices are pretty affordable so it's really nice. The dishes look great especially the pastas. I think it's definitely worth a try. Wow the food looks so delicious, I'm always searching for a good Italian restaurant! Those pasta makes me wanna crave! I love to try the fish pasta. It must've been something unique in taste. Pasta with a twist! It looks like really great Italian place! I can't believe that such a dainty shop can serve such flavorful pastas! Thanks for this! I'll eat here when I pass by Kapitolyo! When you're in Manila, you really get to experience a lot of restaurants especially in Kapitolyo. Haven't been there but I always read in blogs that there are a lot of resto there. I am a pasta lover and surely this is one I would like to visit. Pizzaaaaaa! It looks so delicious! 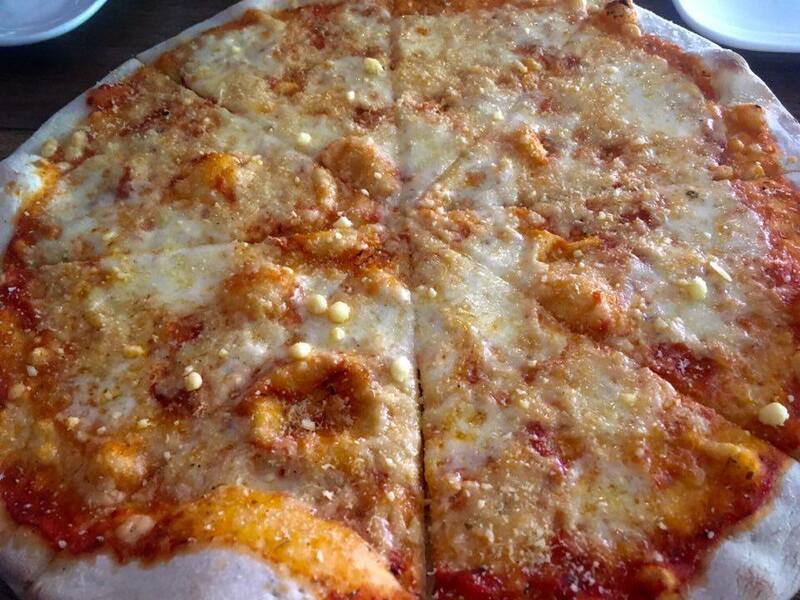 I suddenly crave for pizza especially with a lot of cheese! I'd love to try their food when I visit Kapitolyo again. That place in Pasig is just heaven for me!